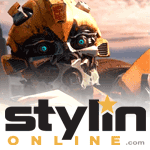 "Blasting you is as cathartic as streamlining one's fuselage." Nacelle is almost as much at home on the battlefield as he was back in his old laboratory at Tesarus. 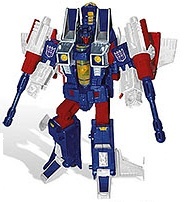 He has a keen mind for the sciences having worked alongside Bitstream and Hotlink under Starscream's Helex-Yuss Decepticon Research & Development team. Upon the Nemesis's departure to Earth, he was assigned as a lab assistant to Shockwave. 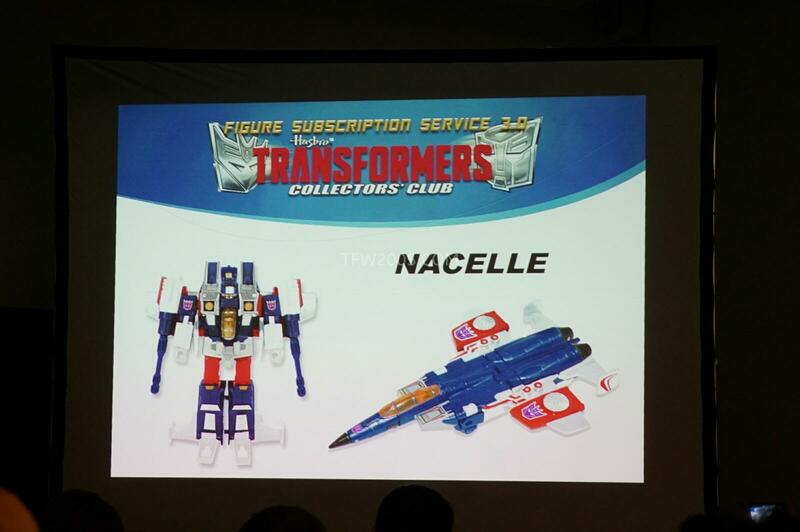 During that time Nacelle engineered the modified wing designs used for the second wave of Earth-bound seekers, eventually adapting one of the prototypes into his own chassis. 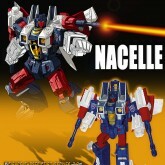 Due to his longing to return to his laboratory work, Nacelle can become absent minded in the midst of battle. 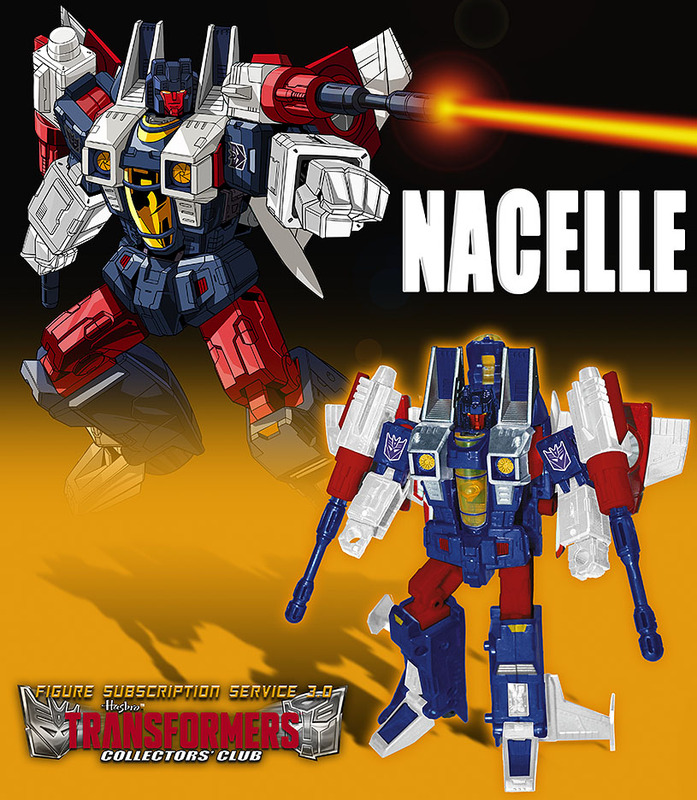 Nacelle's overall effectiveness however outweighs any liability he may cause. 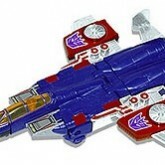 He can fly at speeds up to mach 2.7 and hi high-powered turbines can double his speed for up to 1 minute. 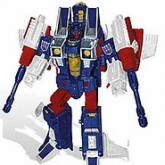 Nacelle is based on an unreleased Seeker design shown in an early Generation 1 catalog shoot, which combined the Thundercracker body with the new tooling for what would become Thrust's wings. 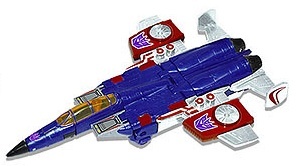 This figure reuses the new wings designed for Botcon 2007 Thrust, but also uses the non-coneheaded head for the figure's head, essentially making this a unique tooling since none of the other releases of the mold feature that combination of parts. 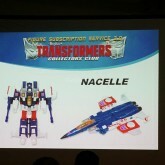 First reported as arriving on 1 July 2015, due to being shipped a little later due to Botcon, Nacelle was intended as the June 2015 release for Figure Subscription Service 3.0.